I like to inform you I have been working on updating and moving my blog. I’m also planning to blog about a wider range of topics with a combination of ‘Stories from the Field’, articles, reviews, news posts, and much more. This entry was posted in Uncategorized on 29 September 2017 by sampuls. All info you can read about San Pedro Sula (Honduras) is pretty much summarized by ‘leave as soon as possible, nothing to see’. Although it’s an interesting city, the main (one and only) tourist attraction is the cathedral. 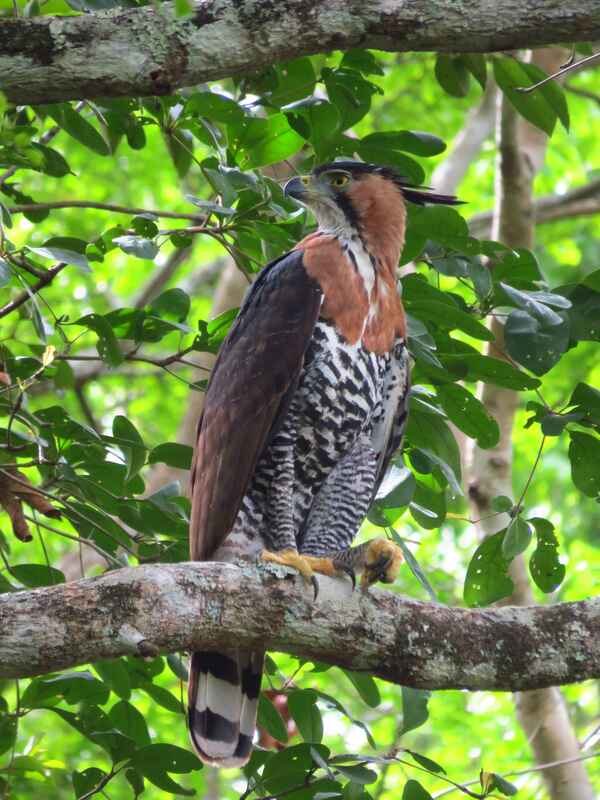 Anyway, soon enough I was going to meet up with the Opwall research crew to get out of civilisation for an 8 week expedition in Cusuco national park. 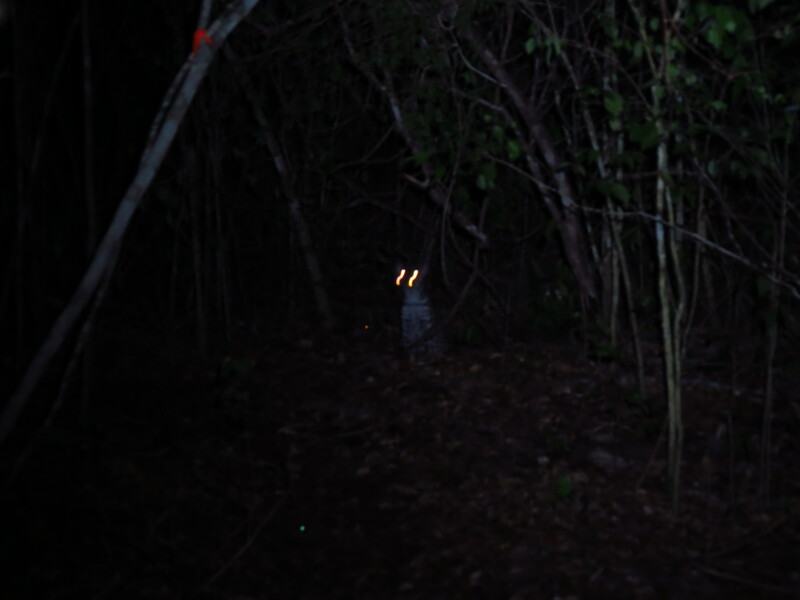 The camera traps were used to apply the REM (Random Encounter Model). 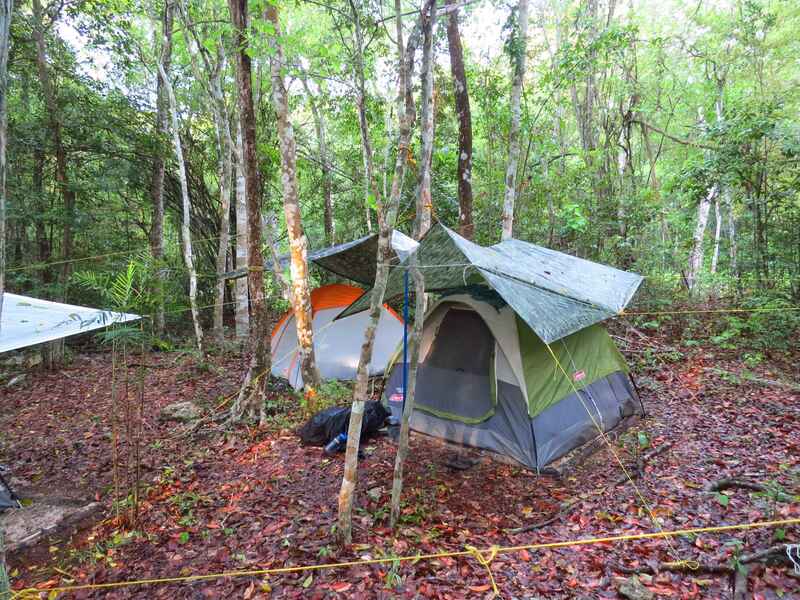 The set up was a bit disappointing, as we aimed to set up 6 cameras per transect and leave them out for only 3 nights in order to monitor all the camps used during the Cusuco Opwall season 2016. One of the highlights of this expedition were the jaguar tracks some of my colleagues found in one of the camps. Luckily they preserved it well so I could have a look and be quite confident they were jaguar tracks. 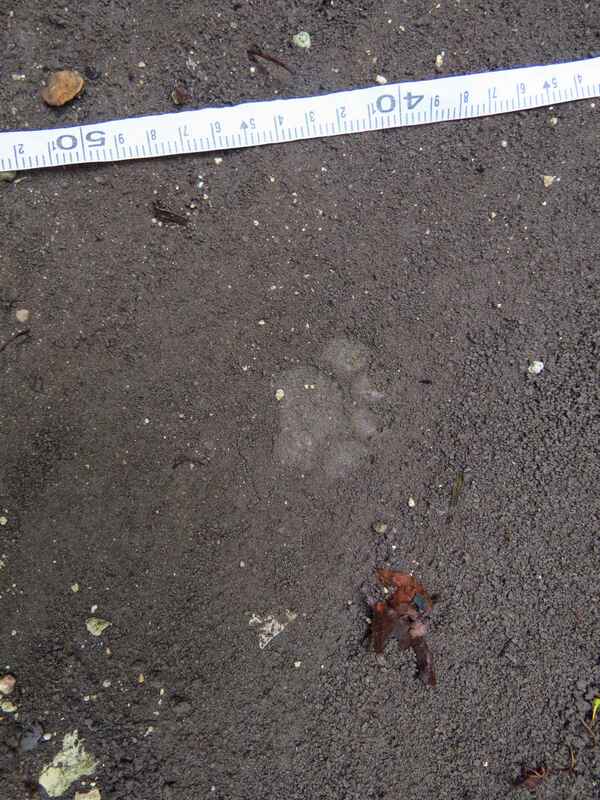 We also found 2 more occasions of potential jaguar tracks during this week. As an additional try out the mammal team tried some different set ups and played around with equipment. 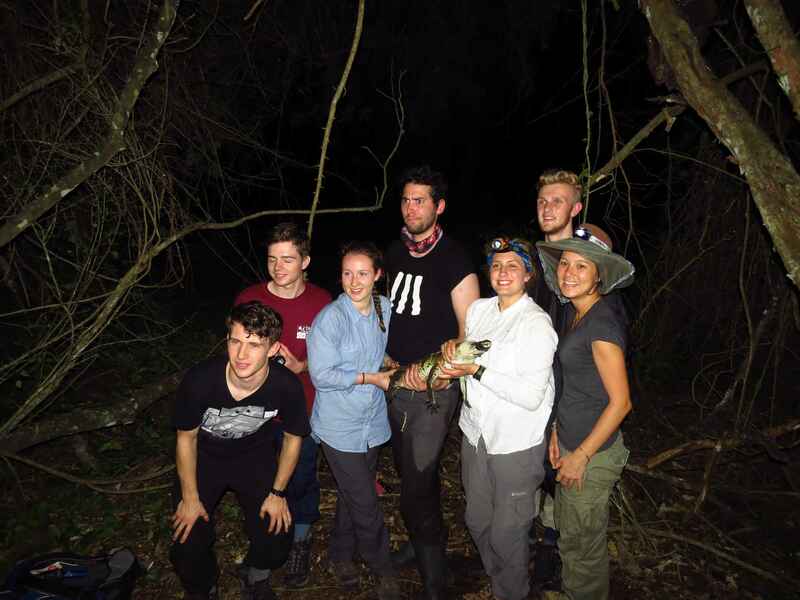 The first project was to try and set up an experiment to try to figure out some speed measurements of species, which is essential for the REM approach. We used camera-traps in a more or less hexagon shape with some food in the middle. We added some measurement indication in the view of the cameras in order to estimate speed. 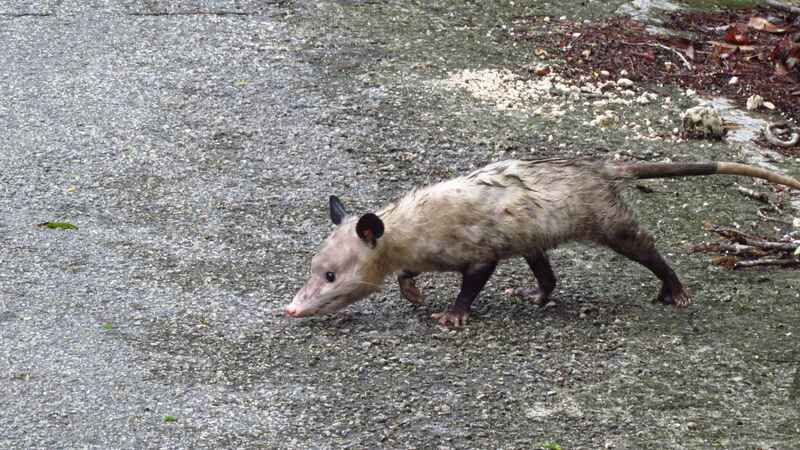 Unfortunately, we were not too successful in capturing animals, only some opossums. 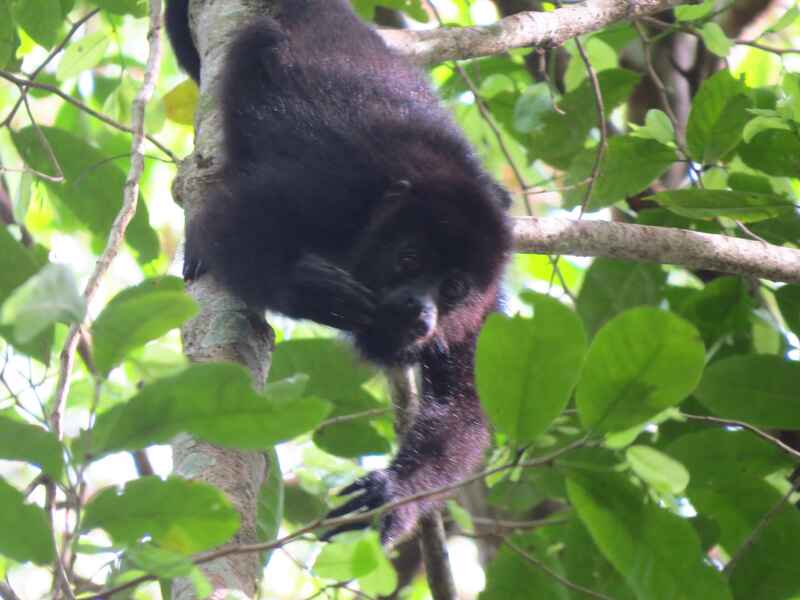 In our second little project we tried to capture some of the medium sized mammals in Cusuco National Park in order to check what’s possible for future projects involving capturing animals. We used cat food and some left over chicken from meals as bait. We mostly caught opossums, but also some squirrels. This entry was posted in Uncategorized on 20 October 2016 by sampuls. Finally I found some time to start writing about my experiences in Mexico. So far everything went great. 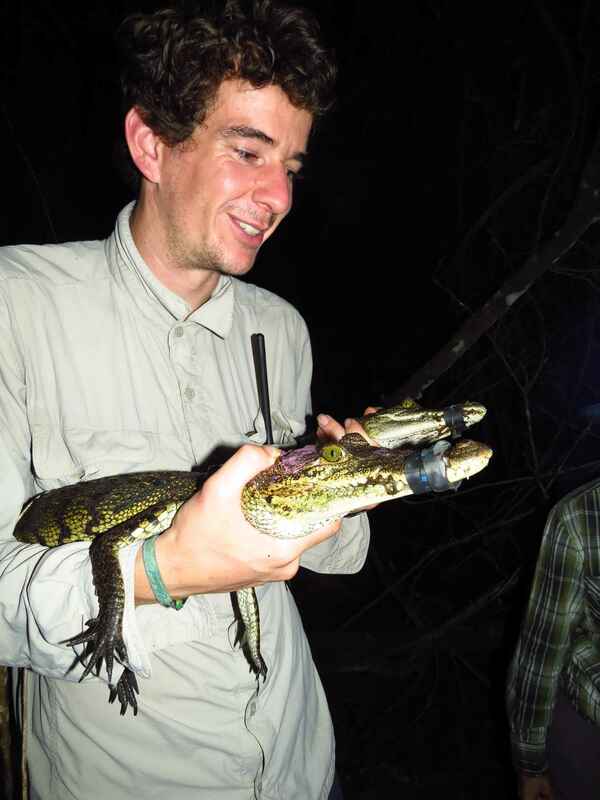 I was a staff member of the awesome mammal team in a research project from Operation Wallacea (Opwall). 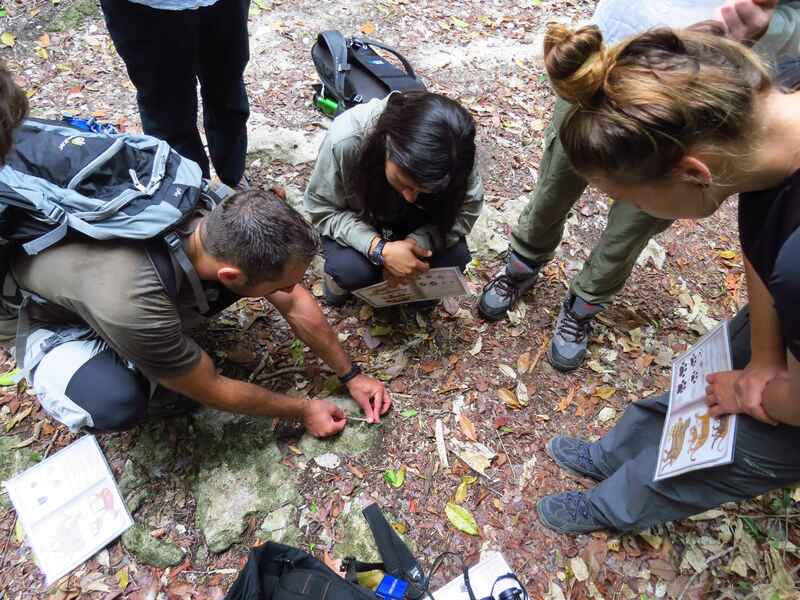 Besides mammals there was also research on bats, birds, herps, habitat, butterflies, monkeys, … every week we had a school group coming over the experience all these different facets of field biology. Anyway, the mammal research had a couple of aspects. We walked transects in search for tracks. This part was very interesting and difficult, definitely in the beginning, as it is not all covered in snow like in Slovakia. But it was a great experience. 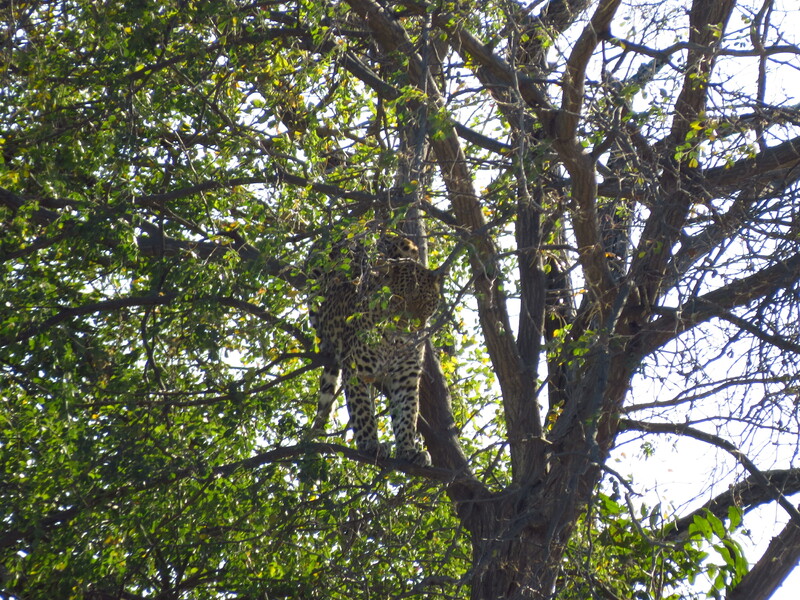 We found mostly tracks of brocket deer and peccaries, but also some of the predators like jaguar, puma and ocelot. Besides the tracking we also set up a little cameratrap project along to road to the ruins, which the government wants to widen in order to get the tourists faster to the ruins… basically we don’t want that to happen because it will interfere with the wildlife and might cut of some species from other parts of there home range. This said, we got some great footage of wildlife, including almost all the animals we wished for, from jaguars and pumas to the small agouti’s. Camp was very basic: water came in with a truck, electricity from solar power and a generator, sleeping in tents or hammocks, … A local family provided us with food every day. It was pretty good, although it contained a lot of beans and rice. We also made a visit to the ruins, which were pretty impressive. 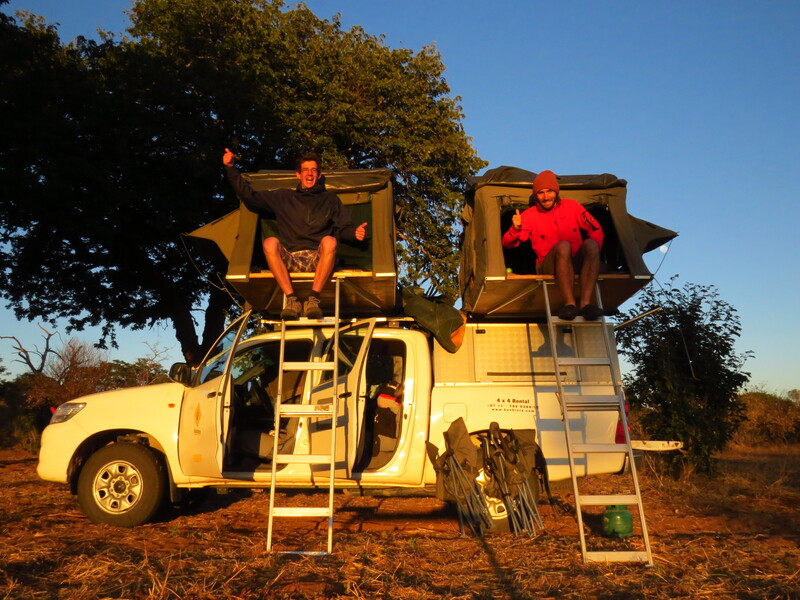 In a change to increase my wildlife sightings I often drove the monkey team in the morning (5:45am) to their research site about 7km from camp. Or basically I tried to be out as much as possible. Soon enough I saw a tapir. 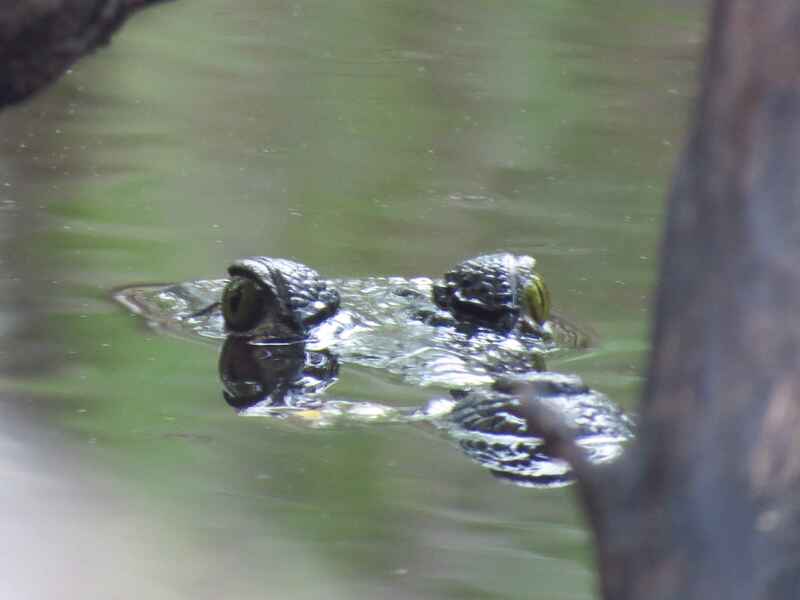 it was swimming in one of the aguada’s (pools in the landscape). 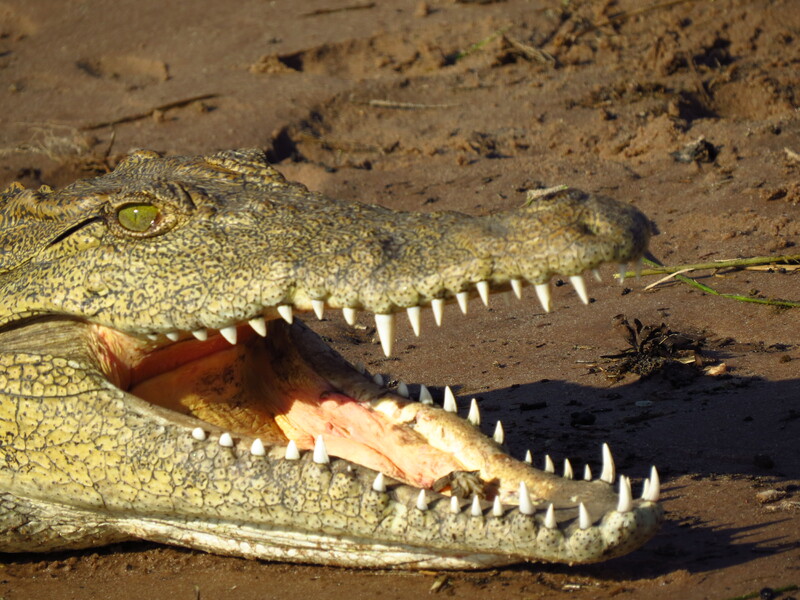 I went a couple of times crocodile hunting, although I didn’t caught them myself. Most of them where about 1m in length, but still pretty powerful. I saw tons of stuff, but for my more interesting sightings I had to wait till week 7, when coming back from dropping off the monkey team I saw my first cat species, an ocelot. Not the best sighting, but it was one. Anyway, when I was out with the bat team on an other night we caught quite some interesting bats, but on the way back (at around 3am) there was an ocelot walking on the road. We got pretty close and enjoyed the sighting. An other great even happened when I was out with the bat team (again). although they went setting up their nets and I went to go to collect our camera traps in the evening… it got dark pretty fast and when I was on my way to pick up the last camera I saw big eye shines in the vegetation next to the road… I pretty soon figured out it must be a puma or a jaguar. We kept looking at each other for a while, and this creature was as intrigued about me as I was about it. Part of me wanted to go closer, part of me wanted to go back. In the end I did a couple of steps forward and that was it. 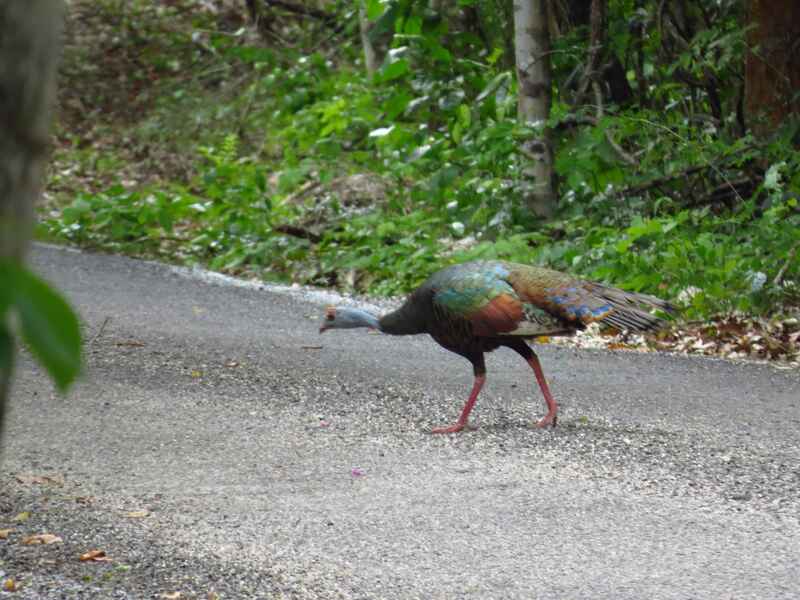 a bit later this creature stepped on the road and walked in the opposite directing on the road. I could see a big head and potentially some spots, although it was pretty dark. I took me a while to realize I actually saw a Jaguar. After this great experience I decided to go back to the bat team and leave this camera to pick it up later, as the jaguar must have been very close to the camera. 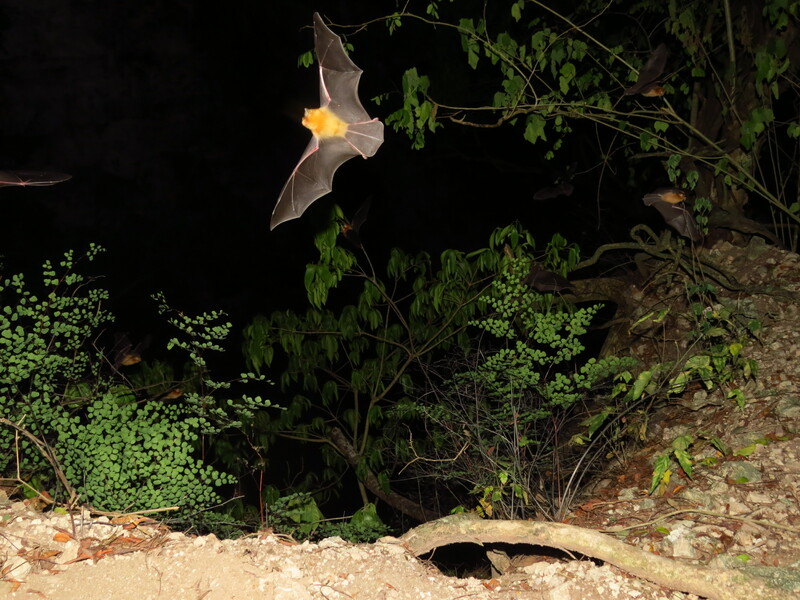 I was pretty relieved when I actually had some people around me, even if it were just crazy bat researchers :-). On one of the last nights we went out to search for some more mammals, and with success… when walking on a path we had an ocelot coming from the opposite direction, and surprisingly curious. 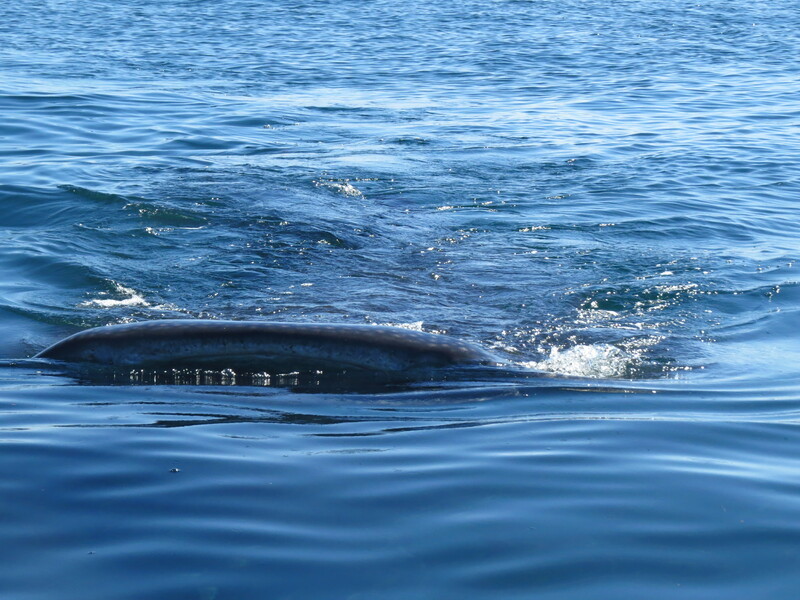 It was about 20m away from us and we watched it for about 5 min, probably longer, it even got closer towards us. 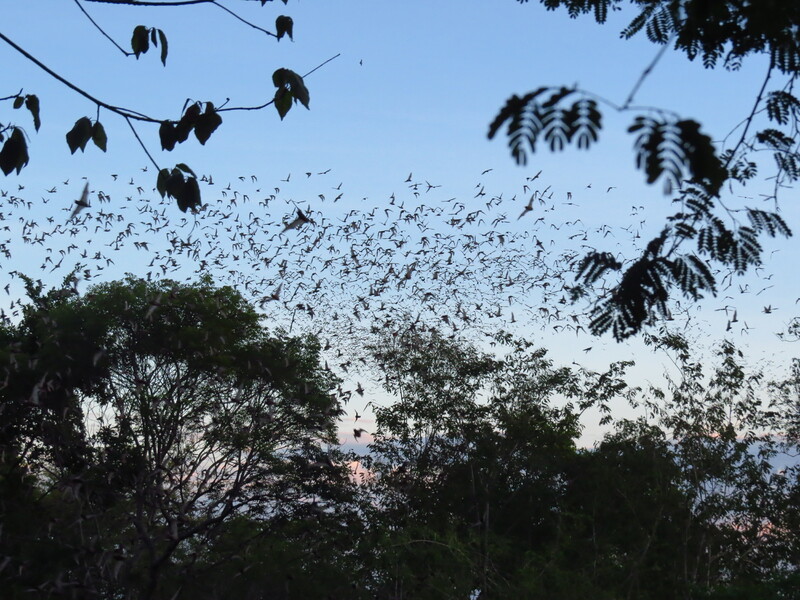 We also went out on a trip to visit a bat cave, which was pretty impressive seeing all these bats coming out of the cave around sunset. 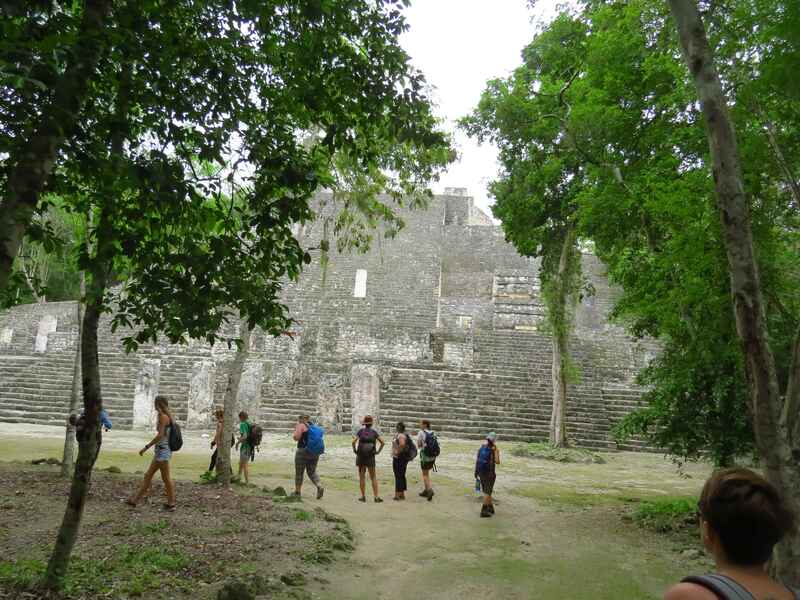 Overall I had a great time in Calakmul, southern Mexico. 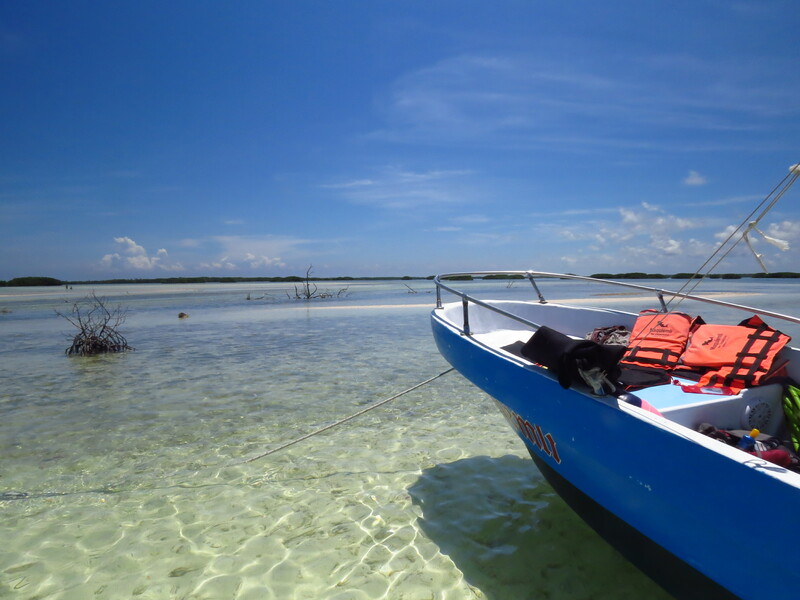 After 8 weeks with limited resources (internet and contact with the outside world) we made it back to Cancun for a celebrating party and now I’m on the island of Holbox to take a bit of rest. 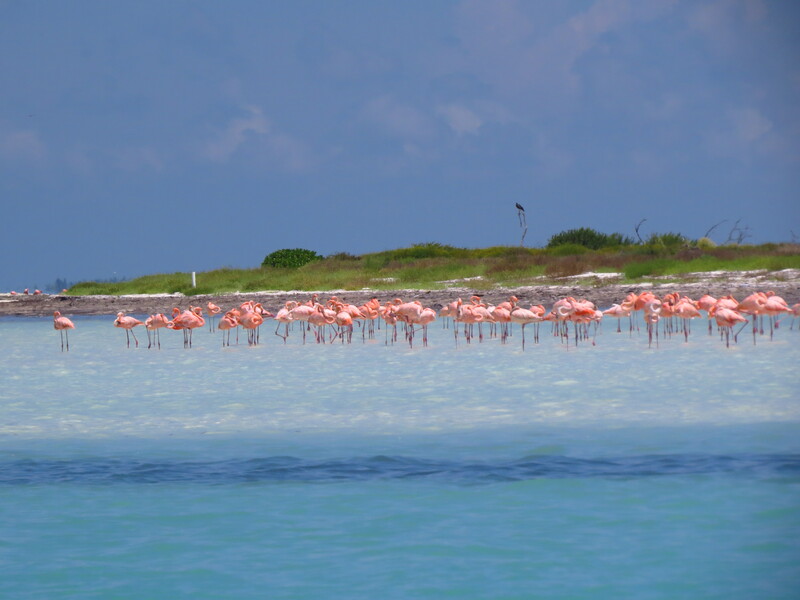 Yesterday we went snorkeling with whalesharks and watched flamingo’s. 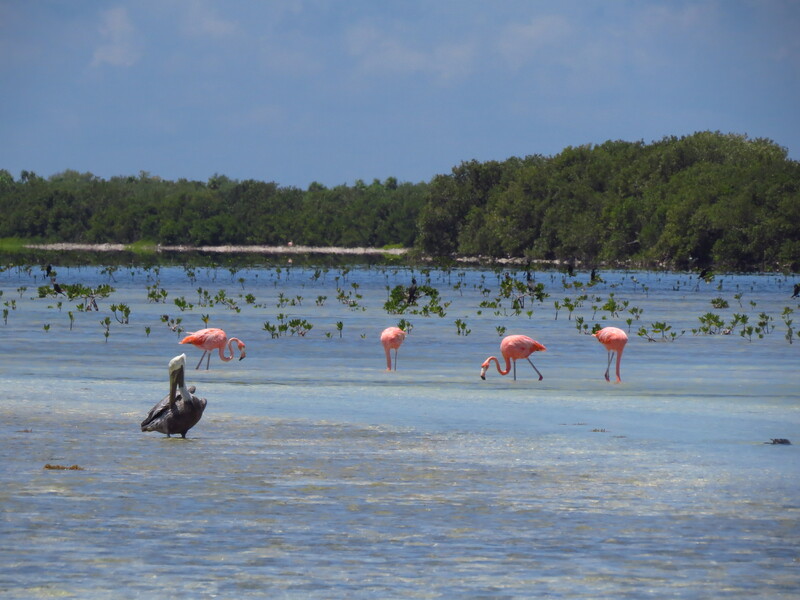 In a couple of days I’ll move to Celestun, still on the Yucatan peninsula in Mexico. 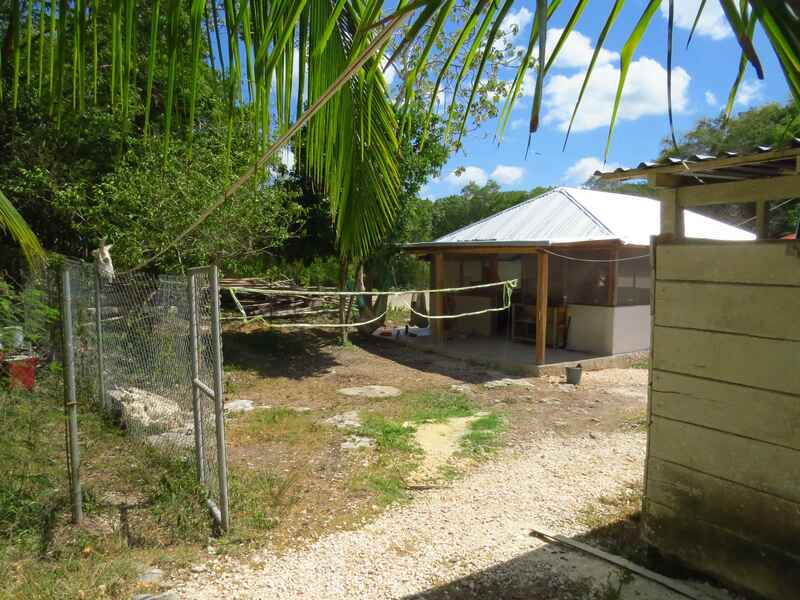 After that I ‘ll make my way to Belize. So far my update for now. 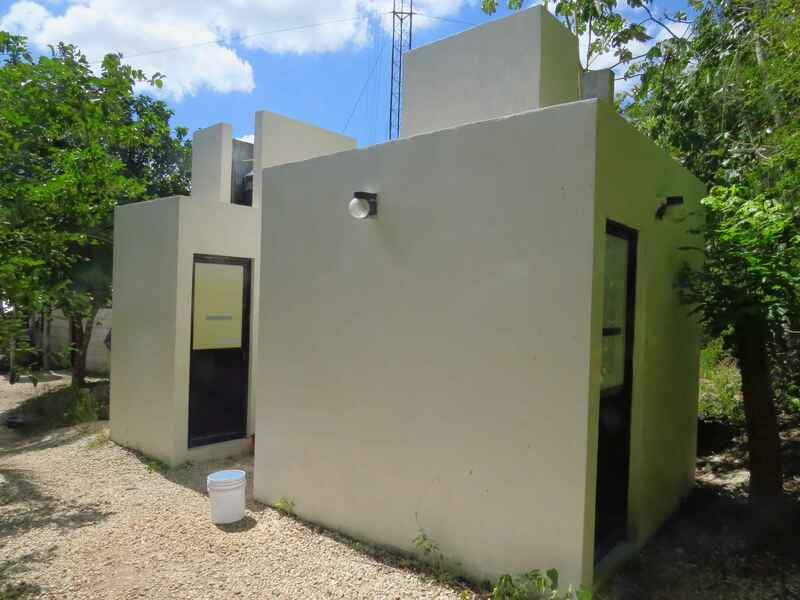 This entry was posted in Mexico on 14 August 2015 by sampuls. Me and my luggage arrived save and well in Cancun, Mexico. My flight from Brussels to Madrid was about an hour delayed. Luckily there was an airport steward waiting for us to get us as fast as possible to the gate for Cancun. I have spent my first 2 days in downtown Cancun, and now I’m near the beach enjoying some free time before catching the bus to the Mexican jungle at 5AM on Saturday (tomorrow). To be honest I didn’t know this was a crazy party area :-) but it’s nice. I also did some wildlife watching already which got me in a strange situation. Me and my roommate at the hostel decided to go for a drink on the beach before going out. At some point I saw something strange moving on the beach, and it was not the alcohol working… it was a sea turtle! It was huge. Anyway, so a couple of hours later (AKA 4am) I decided to have an other check at the beach before I go back to the hostel. Too bad I couldn’t see any more turtles, also no more tracks so I decided to go back. There were not so many people at the beach, but at some point a policeman came up to me and wanted to check my pockets. I was a bit caution because of all the stories you hear of the corrupted mexican police… The first thing he got out of my pocket was my wallet and at that point 3 more policemen arrived out of nowhere asking me more questions. One guy was checking my wallet and was taking something out of it, but didn’t had a proper view what it was, apparently it was the copy of my passport. Anyway, besides a wallet, earplugs and keys there was nothing more to find, you could see they were disappointed… And I think I got still all my money in my wallet, so I guess I can trust mexican policemen and maybe I shouldn’t search for turtles at 4 in the morning. Yesterday I made a walk at the beach by daylight and I passed by 2 sanctuaries where they protect the turtle eggs in a restricted area. They were digging a hole for turtles eggs they have found near where I saw the one the day before, so apparently her visit to the beach was successful. Furthermore I also saw a crocodile in the lagoon close to my hostel. I already figured out being a vegetarian in Mexico isn’t the most common thing around here, but I already tried some of the Mexican food. Clubs are pretty expensive here, the really famous ones around 60-80 USD all in. I went for a cheaper one. Bar tenders here use lasers to get the attention of other bar tenders, which in my opinion is pretty dangerous. And if they get bored they are just pointing the lasers at one of the other bar tenders… crazy Mexico. 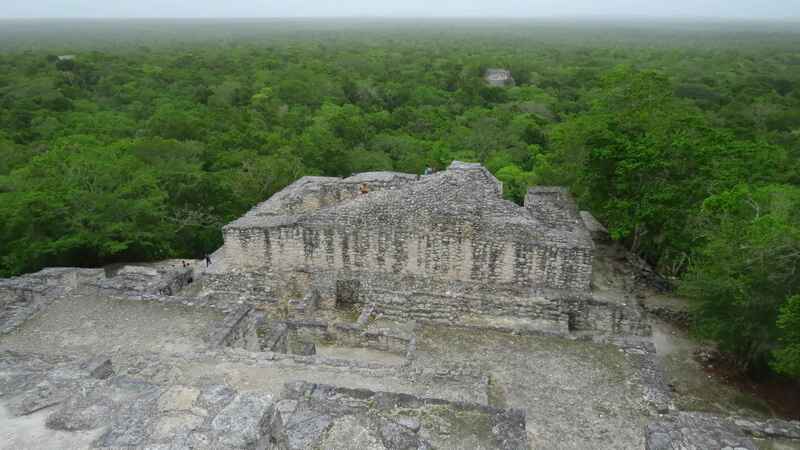 Tomorrow morning (Saturday) I’m off to Calakmul nature reserve in the very south of Mexico, close to the border with Guatemala and Belize. 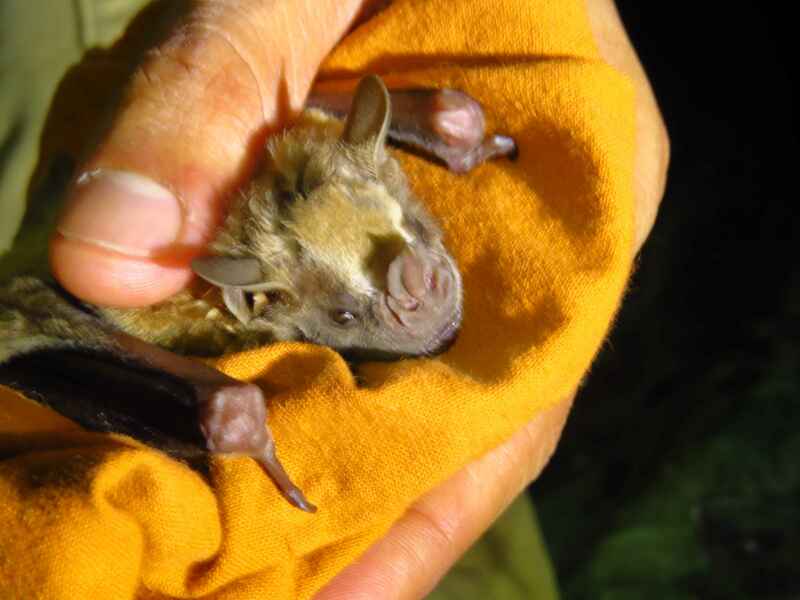 I will be taking volunteers in the field search for mammal tracks as part of a larger monitoring program. In the next 6 weeks I’ll probably have no internet access, but I ‘ll make a new update as soon as I find internet and time. 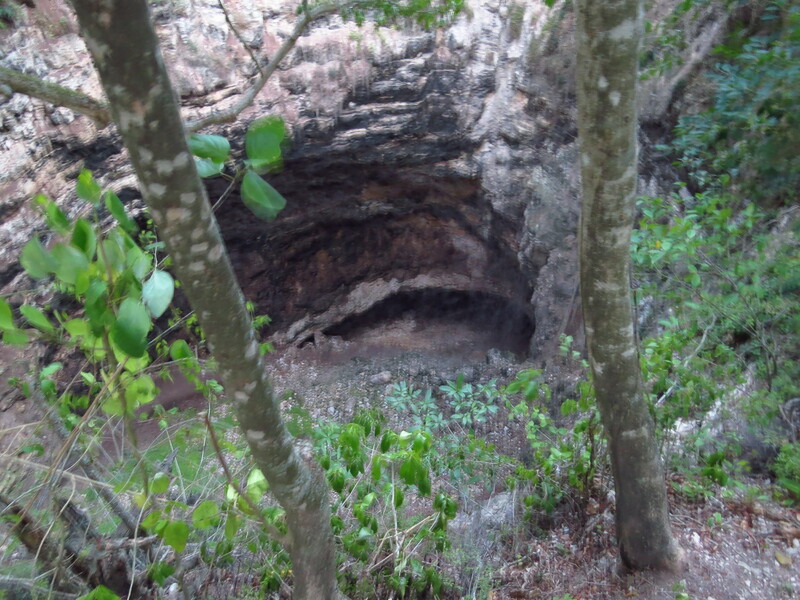 This entry was posted in Mexico on 12 June 2015 by sampuls. 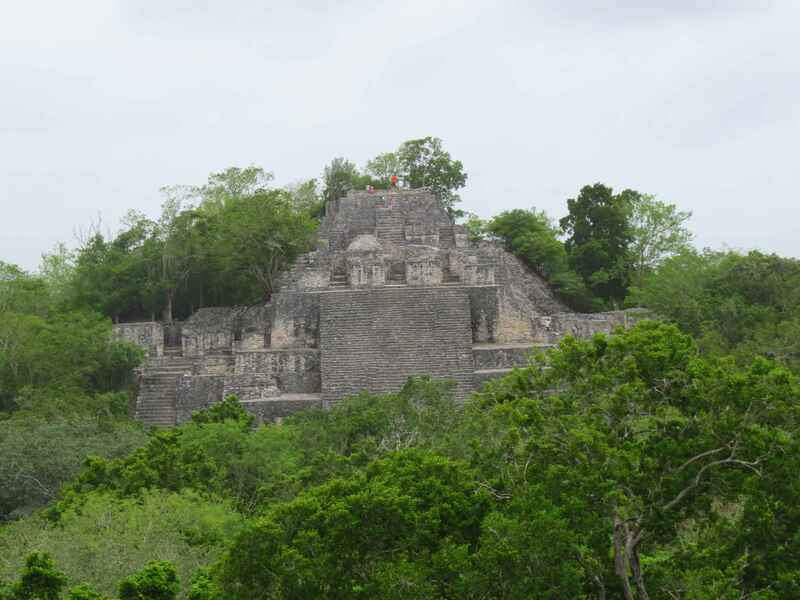 I’m off to Mexico to join a research project in the Calakmul Nature Reserve. I will try to post some updates, but I’m not sure how easy it will be over there. 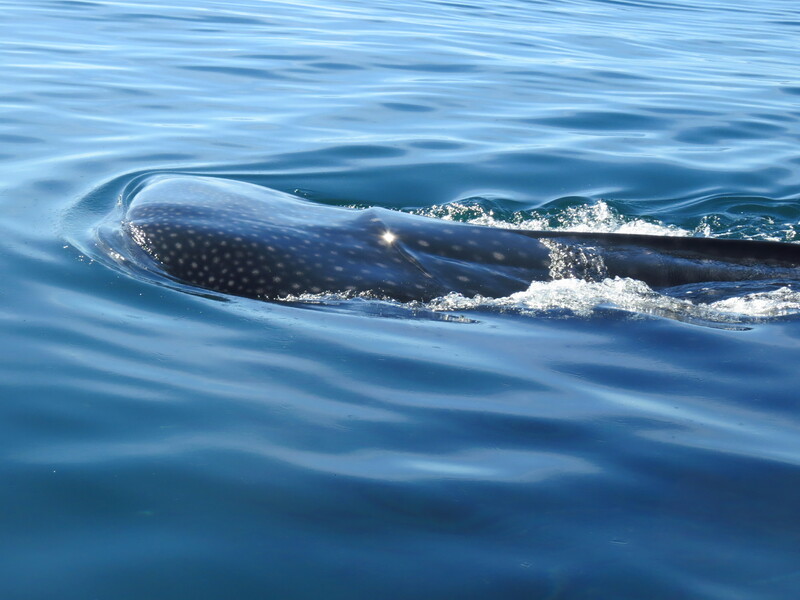 This entry was posted in Mexico on 8 June 2015 by sampuls. For the moment in Johannesburg, waiting for my bus to go to Cape Town and Stellenbosch to visit a friend. In the evening we heard about a cheeta being seen in the morning in the area where we were searching in the afternoon, but there was more craziness… Apparently just 5-10 min after we left the lions, our other team arrived there and a buffalo was coming to close to the resting pride, so suddenly they started to hunt the buffalo and they took it down in front of our other team… so I just have some nice pictures of it… but I missed it myself. The hunt took about 1,5h. 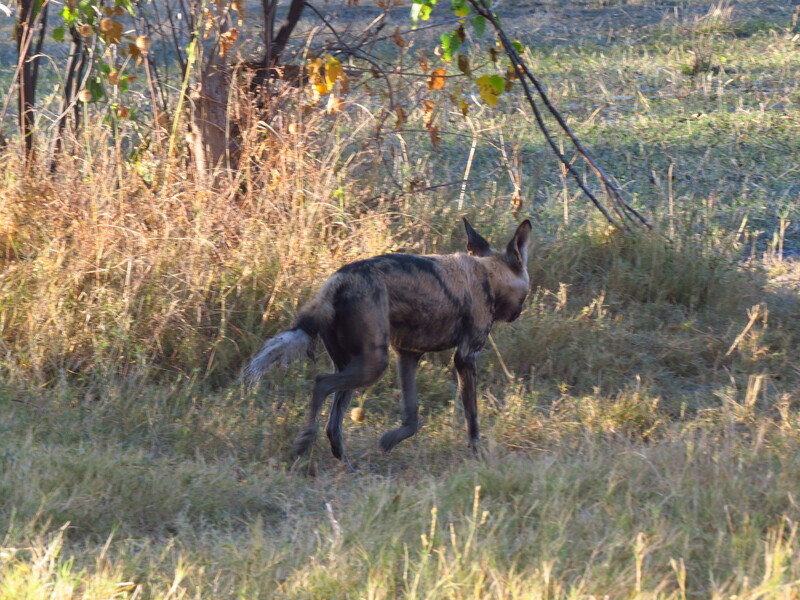 So I had seen lions and hyena this day, and wild dogs the evening before, but now I was a bit disappointed…. I guess I’m spoiled with wildlife sightings. In the evening everything got clear as well, in the afternoon we also so a big herd of about 75 elephants moving very fast… so probably they knew about the kill and moved as far and as fast as possible away. This was our last day of field work, the day after we went for a 2 day trip to Khwai, in the Moremi national park, not so far away. There we had hyenas passing by our tent at night, pretty awesome. but the best has still to come. One morning we went of to Hippo pool, cause it is nice with hippos and crocs. Just when we got there, there was a wild dog standing on the road, it was collared (gps collar around its neck). Suddenly we saw more of them, and they were on a mission… they got really organized, some of the pack moving to the bush, others were just waiting in an open area. 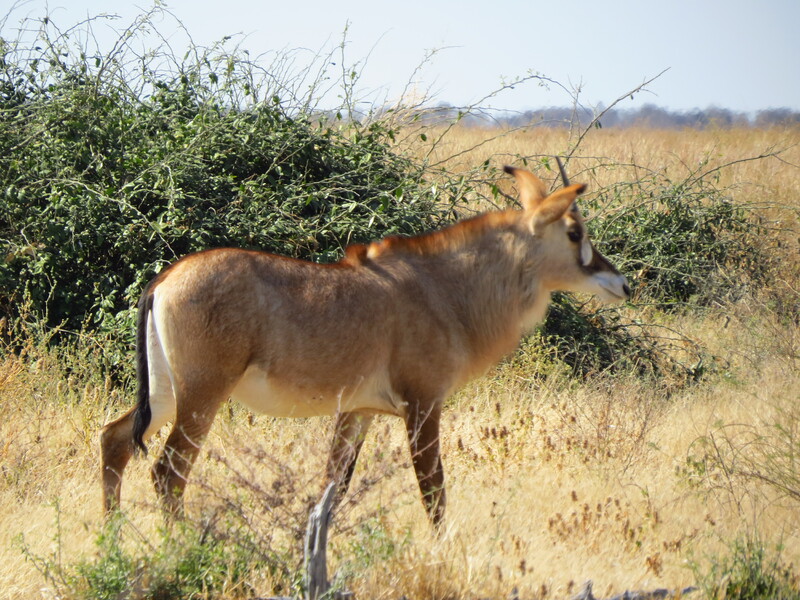 I saw them chasing an impala and a Lechwe, but these survived and the impalas and Lechwe were just standing in the deep water. 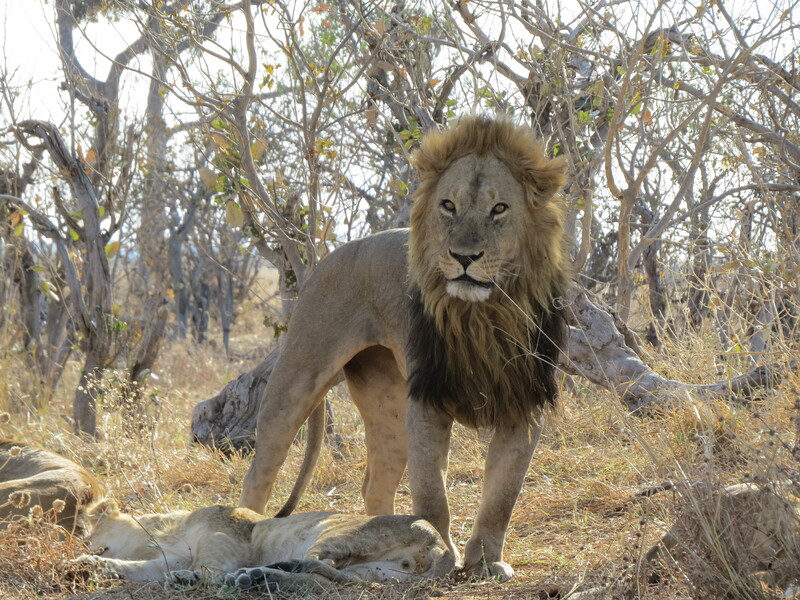 Apparently we missed the actual kill, but we found the pack of wild dogs a bit further shewing on bones and meat, bloody all over… this was an other great experience, we were just driving our car back and forward, try to follow the hunt. 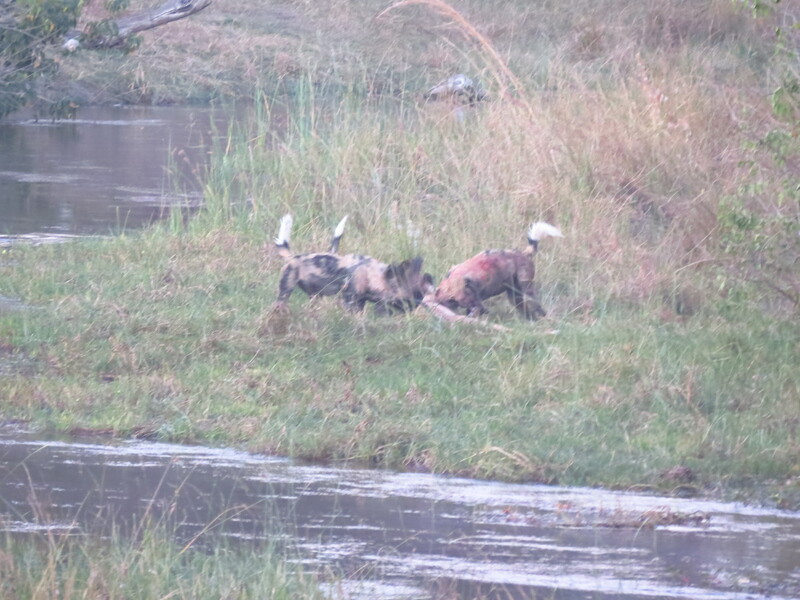 the wild dogs didn’t care at all. 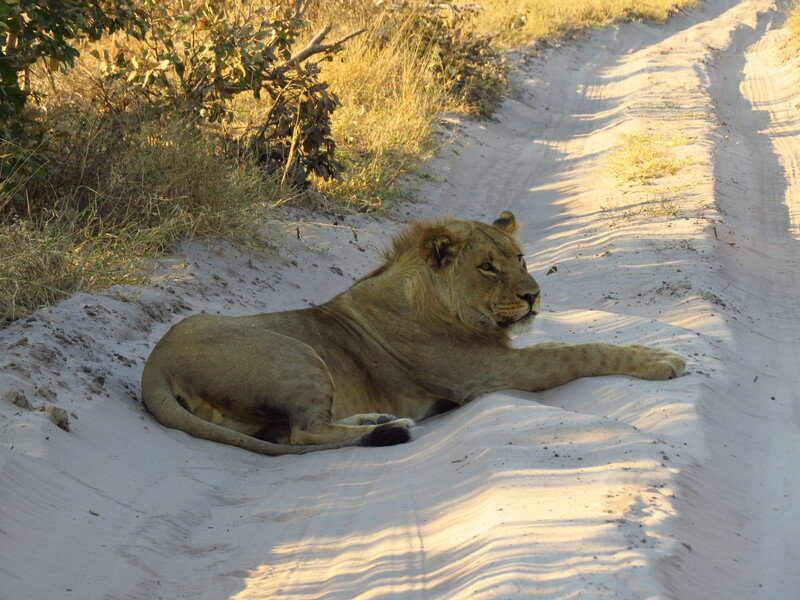 Already time to write about my last day in the bush in Botswana. Me and Ugo woke up early again in our last effort to find a cheeta, but we didn’t. 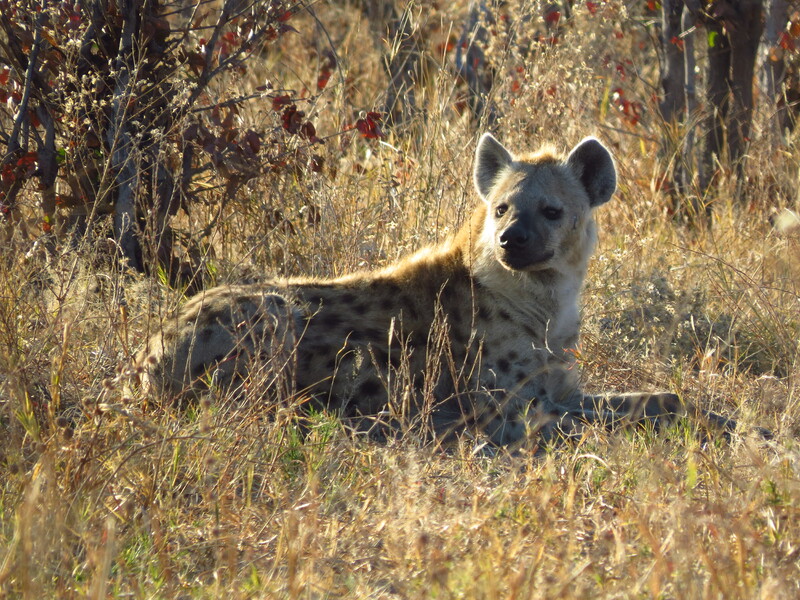 We saw 2 hyenas and at some point we were tracking some fresh leopard tracks on the sandy road. Suddenly a mixed herd of impala and tsesebe (looks like a wildebeest) came running towards us, so that shouldn’t be because of us. we waited a bit and yes, there was again a pack of wild dogs, 11 of them, just traveling around. It looked like they had made a kill earlier that morning, because some were again bloody on their face… circle of life. 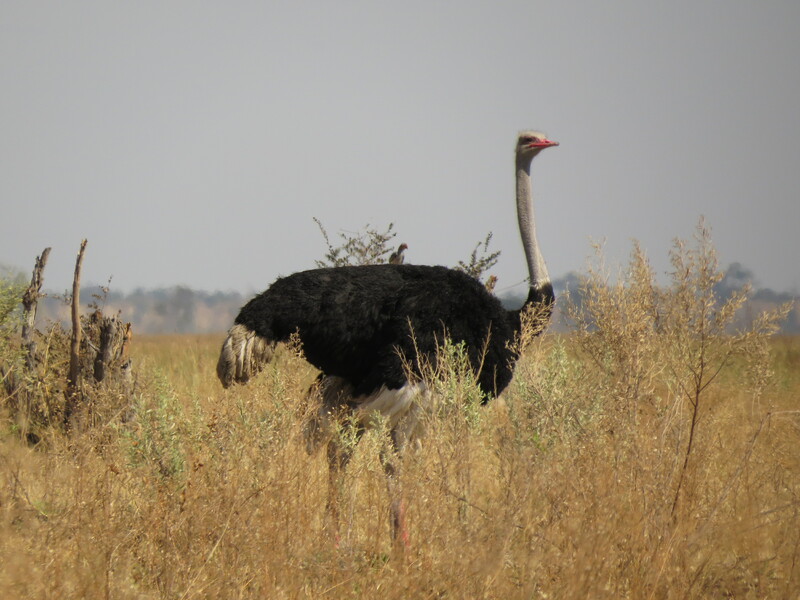 And so ended my wildlife experience in Botswana. So now I am in Johannesburg. 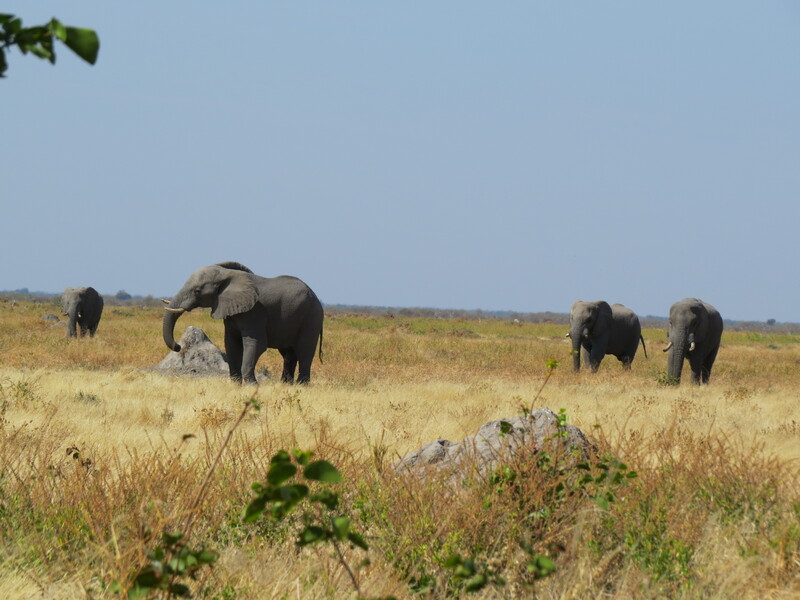 It was quite contrasting to see the differences between Botswana and South Africa… Botswana just had the protected nature reserves, but very few… During the small time I’ve been in South Africa, I have the feeling South Africa is better organized. I’ve seen a lot of private reserves next to the road, although also some advertisement for hunting and stuff… To me it felt like this private game reserves are more like farms… but at least some stuff to think about. Now it’s almost time to take the bus to Stellenbosch, from there I’ll organize things further for my next project. First need to survive the big city of Johannesburg and Cape Town. This entry was posted in South Africa on 24 July 2014 by sampuls. I will just make a bit more use of the internet here in Johannesburg to upload some more pictures. 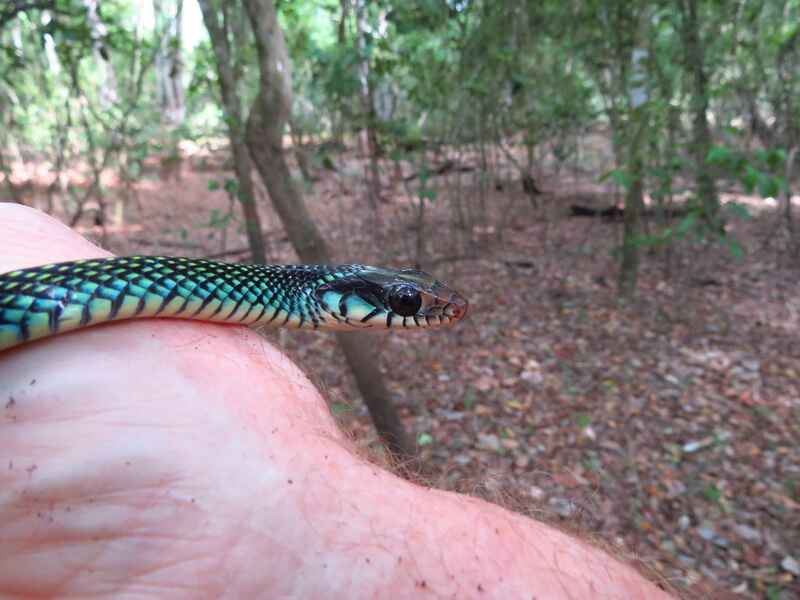 This entry was posted in South Africa on 23 July 2014 by sampuls.